It’s time again for Five Favorites, which is now a traveling linkup, hosted this week by Mary at Atelier. Today I’m going to write about five of my favorite cities. Now I’m no world traveler or anything, so don’t expect anything obscure or unusual! 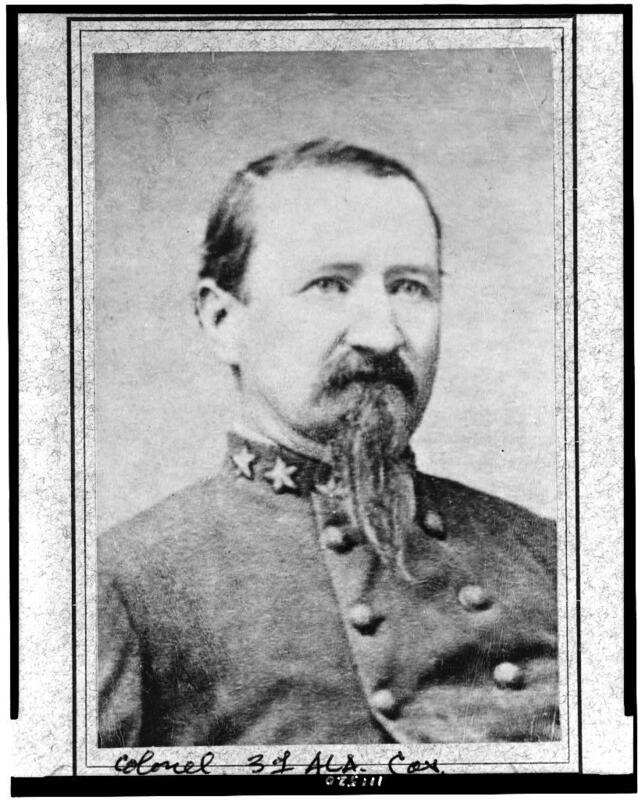 My ggggrandfather Confederate General James D. Hagan, who was born in Ireland. My mother visited cousins there often as a child, and told us stories of swimming in the Mobile Bay. My grandmother, too, spent summers there as a child, and well into her elder years used to drive down there occasionally to see family and bring home crab for gumbo. I vaguely recall two visits there when I was a child. When Emily decided to go to college there we were absolutely thrilled, and I know Mima would have been too. What with dropping her off and picking her up for various breaks, and attending Family Weekend at Spring Hill each year, we had ample time to visit and explore Mobile, which offers streets lined with restored historical properties, a nearby beach, and delectable seafood. We miss our frequent visits and are considering going down for a weekend just for the food. Seriously. I’ve been to Charleston twice. The first time marked the last vacation I ever took with my parents and sisters; the second was a Spring Break trip with my roommate and then-boyfriend-now-husband my junior year at Georgetown. I’ve been wanting to get back there ever since. Through the nostalgic lens of the past the place has taken on a mythical significance, probably helped by my devotion to Pat Conroy’s writings. So that doesn’t exactly demonstrate why I loved the place. Things I remember include the architecture, the near-deserted beach at Wild Dunes (the resort where my family stayed), the terrifying bridge (now, I believed, replaced), and The Trawler, an incredible restaurant at which I ordered a seafood platter that had absolutely everything on it and remains the standard by which I judge such things 30 years later. (It’s closed now, but I suspect there are still a few good seafood places in Charleston!) John and the big boys visited Charleston for a Cub Scout outing that included a night spent on a battleship, but that was ten years ago, so I think it’s time we got back down there! It’s an obvious choice, I know, but even after living in D.C. for four years and just outside it for another, I never get tired of visiting. So many people make the mistake of thinking they can “do” D.C. in five days, but it just isn’t possible. Everyone knows about the Smithsonians, of course, and that they are free, but in your rush to the Air and Space Museum, don’t forget the Botanical Gardens, or the Holocaust Museum, or the National Archives. A person could spend days in any one of the museums. As for the monuments, touring them at night is the best. As for food, D.C. is an international city with every kind of cuisine you could want or imagine. I recommend 1789 in Georgetown for an unforgettable French dinner (if you can afford it–we’ve done this exactly once!). I bet y’all knew I was going to say that, didn’t you? You can read just a few of the reasons here. Other than that, I’ll just let some of these images do that talking for me. What about you? What are your favorite cities? And for more favorites of various kinds, you can visit the linkup here. I love all these cities too! We were married in D.C. and my husband, father, and extended family are from Knoxville! Such a beautiful area! We have a lot of connections, it appears. Where in D.C. were you married? My daughter and I went to D.C. when she was in 5th grade — one of our all-time favorite trips. We tracked down the statue of Einstein which is off the beaten path, but really neat to see. My second favorite city is San Francisco — we spent about a week there several years ago. Plenty to do and see — just a really interesting place. Yes–love that Einstein statue, which is a great example of all the treasures in DC that most people never get to see. I thought about including San Francisco on this list! I visited there for a few days when I was 14, so long ago. I fell in love with it and have always dreamed of going back. As a native South Carolinian, I too am a big fan of Charleston. We’ve spent a lot of time living in Beaufort SC during my husband’s Marine Corps Career. LOVE Savannah! so far, one of my favorite cities we’ve lived in has been Newport, RI. I have family in Newport! We were up there very briefly a couple of summers ago and I agree with you that it’s a lovely town. Even if you are a brand new convert, you’ve probably already heard of the Easter Triduum, and if you haven’t yet, well…now you have. It’s kind an odd word, yes? How do you even say Triduum? Try-doom? Tri-do-oom? Try-dumb?? ?